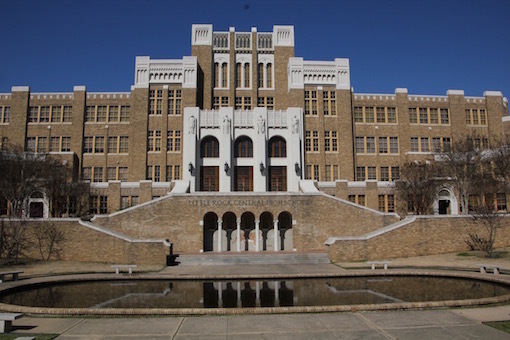 The Little Rock crisis was, as Taylor Branch has written, “the most severe test of the Constitution since the Civil War.” At its center were nine black children seeking the promise of equal education. Behind them was a federal court order. In their way, literally, was their state’s white governor, determined to hold onto the old ways, even at the point of arms. As the country watched the standoff unfold, the children walked up the schoolhouse steps with bricks and bats bearing down. Their only hope: the President and a military, which, at his command, had helped liberate Europe after D-Day. In an America torn between its capacity for cruelty and dreams, what would win out: betrayal or courage, rage or principle, hate or the dignity of rising by learning? The answer would revolutionize a nation. It would be one of the honors of our lives to tell this story as it has never been told: as a modern opera as searing and inspiring as any of the dramas of the ancient world, but with more immediacy. Tania León has shown what she can achieve as a composer collaborating with writers like Wole Soyinka, and I, librettist for the Little Rock Nine, am among the most devoted storytellers of the black experience in our time. We will give voice to those who were mostly seen through grainy newsreels. The stakes could not have been higher then, or the opportunity more exciting now. — Dr. Henry Louis Gates, Jr.